I stand before you today as a non-Native aspiring ally to Indigenous peoples. Specifically, I’m here to discuss Missing and Murdered Indigenous Women. What I’m not here to do, however, is to speak on behalf of Native tribes about this issue, because, I can assure you, tribes don’t need anyone to speak for on their behalf. So, I address you as a graduate student, who’s researched this international crisis, who’s compiled data, who’s trying to make sense of convoluted law, and who believes deeply that everyone should know about this issue. Montana is home to seven reservations, 13 tribal nations, and approximately 68,000 Native Americans. Overall, Native Americans make up roughly 6 percent of Montana’s total population, yet 30 percent of all missing Montanans are Native women. Unfortunately, nearly every state with a significant Native population shares a similar statistic. When we consider all Native women within the U.S., we find that murder is the third leading cause of death for Native women aged 10 to 24. In some reservation areas, Native women are murdered at a rate 10 times the national average. When we consider all Native women within the U.S., we find that murder is the third leading cause of death for Native women aged 10 to 24. In some reservation areas, Native women are murdered at a rate 10 times the national average. It is disgustingly fair to say that the biggest challenge facing Native teen girls and young women is staying alive to see their 30s. Further, Native women are assaulted 2.5 to 3.5 times more than any other demographic of women. 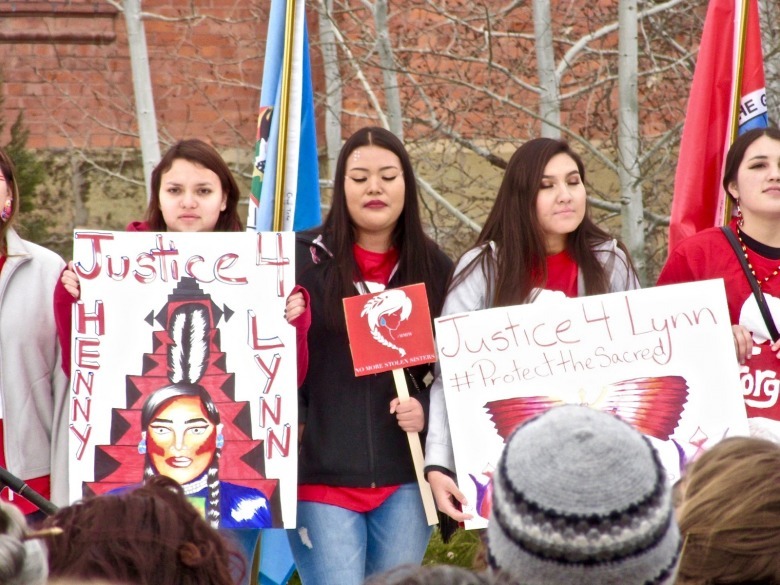 In a study conducted by the National Institute of Justice, researchers found that 56 percent of Native women experienced sexual violence in their lifetimes. The primary perpetrators of these violences are not Native. In actuality, nine out of 10 victims designate their assailants to be non-Native men; men who will likely never be caught, never be punished, never be jailed because of bureaucratic red tape. The 1885 Major Crimes Act decided jurisdiction for select crimes between Native offenders belong to the FBI, because Congress did not trust tribes to correctly enforce Western law. Then, in 1978, a U.S. Supreme Court case ruled that tribes do not have the authority to prosecute non-Natives who perpetrate crime on reservation land. Further, a century's worth of federal policies aimed at assimilating tribal communities has resulted in reservations that are checkerboarded with different land designations: federally-owned land, tribally-owned land, and even state-owned land can be found within reservation boundaries. Each land distinction results in a different policing agency that responds to crime. Uncertainty about where a crime was committed and who committed the crime often delays or completely nullifies investigations. Additionally, the federal, state, and tribal agencies do not share a central database to record these cases. These reasons are why many Missing and Murdered Indigenous Women (MMIW) cases go unreported, uninvestigated, and unsolved. These complications are why we do not know exactly how many women are missing and murdered. It is estimated that 5,700 Native women have disappeared or been killed but we owe it to those women and to those families to know exactly how many women have fallen victim to this crisis. A 2010 study found that US Attorneys offices failed to prosecute 67 percent of sexual abuse, homicide, disappearances, and other violent crimes against Native women. Sixty-seven percent! Montana’s senator, Jon Tester, has begun arguing for the FBI, the Bureau of Indian Affairs, and the Senate to make the whatever changes necessary to end this crisis. But, what can we do? Educate ourselves! I’ve compiled a list of youtube videos, online articles, books, films, podcasts for you to pursue. Snap a photo of that list before you leave here today and commit to learning everything you can about this issue. Knowledge is power! Create National Change! Call, write, email your elected officials demanding changes in policy that support transparency between federal, state, and tribal agencies. Support tribal governance and the return of prosecutorial rights to tribal courts. Support legislation like Savannah's Act and Violence Against Women Act. Demand that our federal government commit to ending this crisis! Create Local Change! Wear red to honor MMIW and support the families fighting for justice. Hold men accountable - confront the men in our lives about male culture that degrades, mocks, and sexualizes Native women. Intersectionalize. our. feminism. And support Native women and communities! End The Silence! Keep conversations going and encourage local media to regularly cover this topic and to publish photos of missing & murdered indigenous women. We have to do better for our Indigenous sisters. We can do better for our Indigenous sisters. EDITOR'S NOTE: For an overview of how Canadians are responding to missing and murdered women and special reporting led by journalist Connie Walker (Cree), click here. 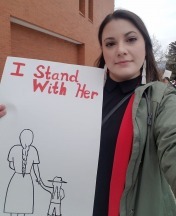 Read also the speech delivered at the 2019 Women's March by 14-year-old Florence Doyle (Crow). And watch the TV report, below, from Montana, noting that it is a phenomenon that has left indigenous communities westwide devastated by grief and fear. PLEASE SUPPORT US: Mountain Journal is committed to giving you reads you won't get anywhere else, stories that take time to produce. In turn, we rely on your generosity and can't survive without you! Please click here to support a publication devoted to protecting the wild country and the wildlife you love. 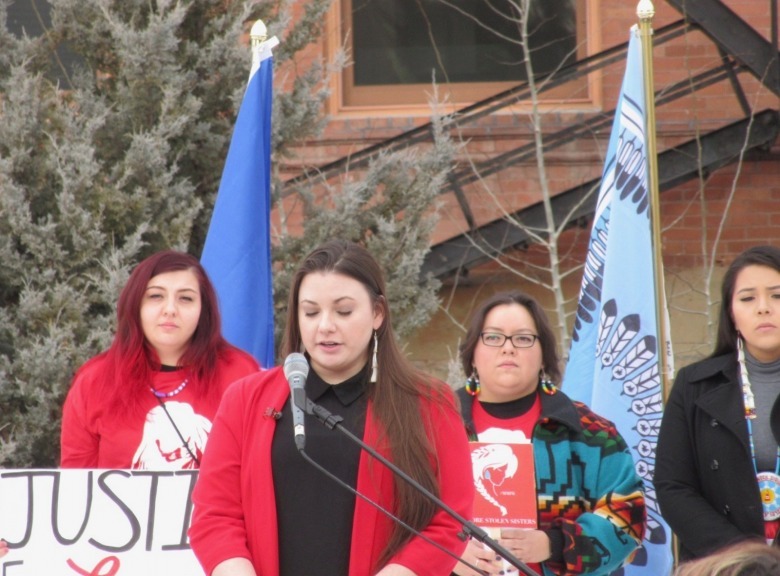 Erika Ross is a graduate teaching assistant at Montana State University in Bozeman and has been among a handful of catalytic voices calling attention to the toll of missing and murdered indigenous women.